Creatine might be the most tried and tested performance supplement on the market! 6 Point CreatineTM, by DAS LABS, is a transparent, pure creatine blend. 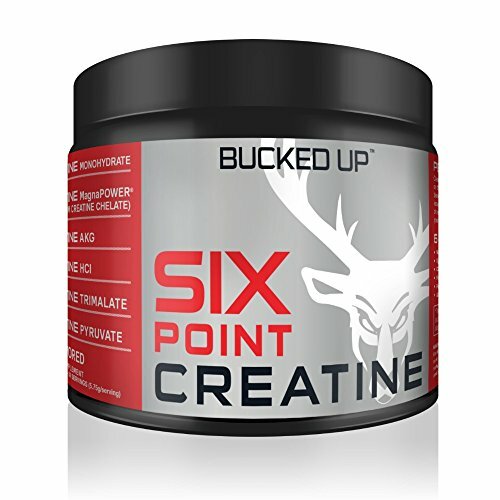 6 Point Creatine has been balanced to provide instant gratification and sustained release, instant and buffered uptake and free of filler and flavors. Power through your workouts and through your day with 6 Point Creatine. Mix 6 point Creatine into your favorite beverage pre-workout, intra-workout, or post-workout drink. It's flavorless and no filler formula make it ideal to mix into just about any drink. Due to its anabolic properties, it is recommended that 6 Point be taken and timed around your workouts. Be sure to stay hydrated while training, supplementing, and living and active lifestyle. As will all dietary supplements these statements have not been evaluated by the Food and Drug Administration. This product is not intended to: diagnose, treat, cure or prevent any disease. Six Different types of Creatine to work synergistically with each other! Perfect for taking Pre Workout or Post Workout. UNFLAVORED so you can mix into your favorite beverage, pre workout, intra workout or post workout drink. If you have any questions about this product by BUCKED UP, contact us by completing and submitting the form below. If you are looking for a specif part number, please include it with your message.